Partial sound clips from each of Jo's albums are available here. This album contains harp, bagpipe, concertina, and piano music. This album contains harp, bagpipe, concertina, and vocal music. This album is entirely solo harp. This album contains mostly harp music, with a few harp/bagpipe duets. This album combines harp with a variety of other instruments, such as bagpipes, whistle, concertina, fiddle, hammered dulcimer, and singing. This album combines harp with a variety of other instruments, such as bagpipes, flute, cello, fiddle, and hammered dulcimer. The cover for Na Bi Gòrach by Jo Morrison. This album cover is Copyright © 2005 Jo Morrison. All rights reserved. 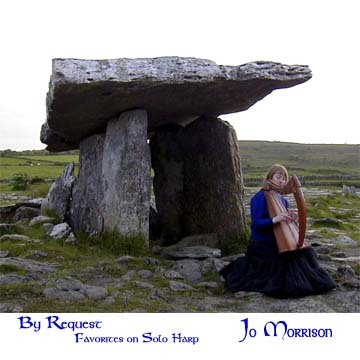 The cover for By Request by Jo Morrison. This album cover is Copyright © 2004 Jo Morrison. All rights reserved. The cover for Christmas Gifts by Jo Morrison. This album cover is Copyright © 2003 Jo Morrison. All rights reserved. 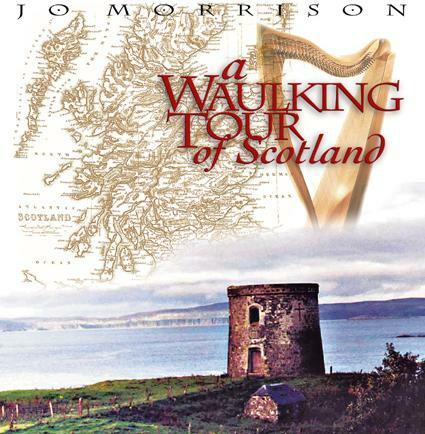 The cover for A Waulking Tour of Scotland by Charlie Glendinning. This album cover is Copyright © 2000 Jo Morrison. All rights reserved. The cover for The Three Musics and the triharpskele logo by Amanda Fisher, Pixelations, Inc. The album cover is Copyright © 1998 Jo Morrison, All rights reserved. The triharpskele logo is Copyright © 1998 Amanda Fisher and Jo Morrison, All rights reserved. This web page is Copyright ©2014 by Jo Morrison. 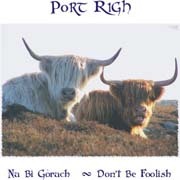 All "Na Bi Gòrach" sound clips are Copyright ©2007 by Jo Morrison. All "By Request" sound clips are Copyright ©2004 by Jo Morrison. 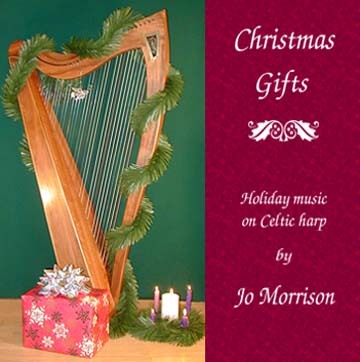 All "Christmas Gifts" sound clips are Copyright ©2003 by Jo Morrison. All "Waulking Tour" sound clips are Copyright ©2000 by Jo Morrison. 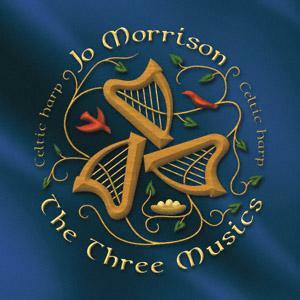 All "Three Musics" sound clips are Copyright ©1998 by Jo Morrison. None of the album covers nor the triharpskele logo may be used without permission.